Those who sell for a living, but are deathly afraid of being considered a salesperson. Those who sell for a living and have no idea about what professional sales actually involves. The first group is worried about being too pushy ... and the second group is too pushy. The first group doesn't want to be mistaken for the second group … and the second group doesn't much care what prospects and customers think of the buying experience. Then there is a third group, much less numerous than the other two: The accomplished social selling professional. I’m often asked to define what an accomplished social selling professional looks like, sounds like, and behaves like. My favorite response to this question comes from Sandler trainer Mike Montague. His answer: Like a waiter. Not just any waiter, though. The best waiter you ever had. 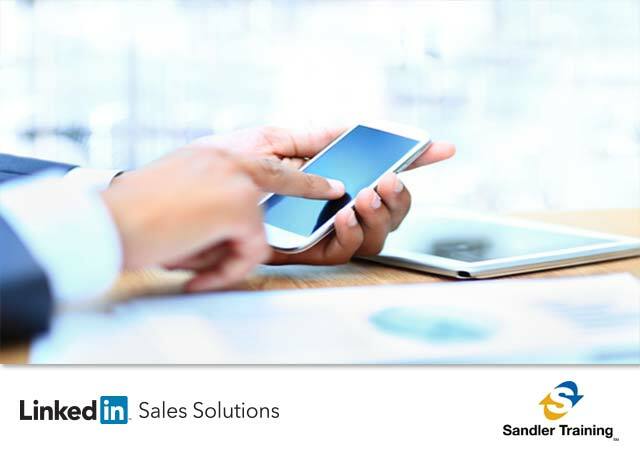 Great social selling professionals have the best of two worlds: They make sales online and they make friends online. That’s why the best salespeople, online and off, really are like great waiters at an upscale restaurant. They have that same customer-first mindset, and the same distinctive, hard-to-define sense of personal balance that supports a lot of relationships at the same time. Don’t believe me? Here are fifteen ways top-notch social sellers behave like top-notch waiters to create a comfortable social selling process for both buyer and seller. They complement the customer’s experience, rather than attempting to force it, rush it, or create it artificially. They make tactful suggestions that will enhance that experience. They are likable as a person and an organization, creating an atmosphere that supports their company’s brand. They listen well and anticipate the needs of the audience. They want to solve problems and make sure the customer is happy. They encourage customers to try new offerings they will enjoy. They use their (significant) expertise to point customers to the right solution. They aren’t afraid to have a little fun -- while promoting an environment that matches customers’ expectations. They let customers know when things have an up-charge or will take longer than expected to receive. They make sure people avoid common mistakes and understand their purchase decisions. They clean up after any messes. They treat each customer like the unique individual he or she is. They encourage customers to spread the word if they liked the experience -- or share feedback if they did not. They make sure customers are 100% satisfied with the experience before they deliver the bill. All of those things a waiter does well will help you grow your business on LinkedIn ... and create a raving fan-base of loyal customers who refer you to others often. Some people call what a great waiter does customer service. Some people call it one-on-one marketing. Some people proudly call it sales. Whatever you call it, remember that the things that make a waiter great are the same things that make professional salespeople great. Talented salespeople create a comfortable atmosphere both online and in person that makes it easy for the customer to buy ... while they stay out of the way.